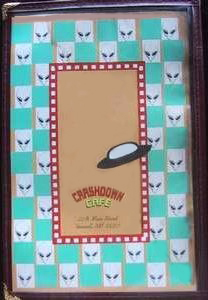 The graphics on this page were created by RoswellOracle. Please ask permission before using. 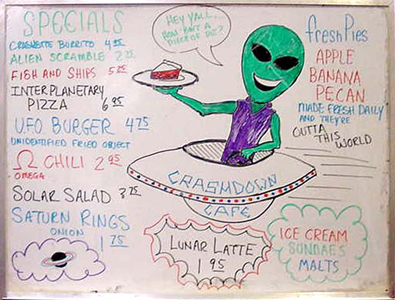 The Crashdown Cafe features themed food with 'alien' names. 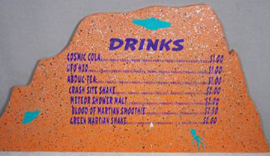 The outside of the menu is seen many times, but we never see the actual menu items inside. 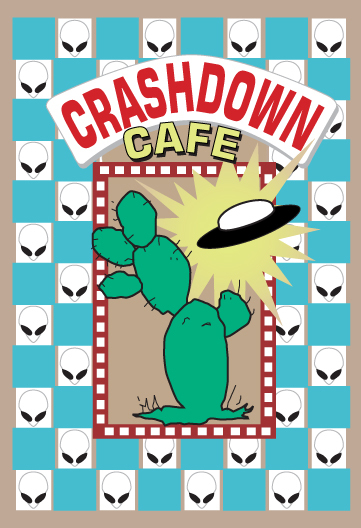 information about aliens and/or the '47 crash. and the menu signs on the wall of the restaurant. 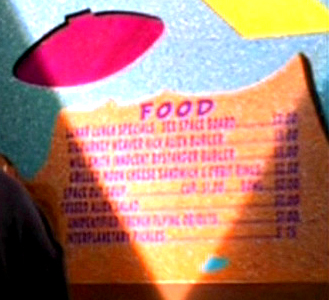 Menu items that were mentioned in episodes I've marked with the episode abbreviations in (). 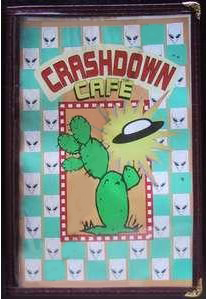 These menus are on the back wall of the Crashdown, near the cooks window. Here are the ones I could read. 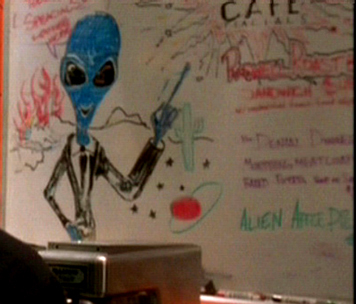 Some of the items on the specials board don't have 'alien-themed' names. I didn't bother referencing those. Beam Me Up Burger (BB) ? Lunar Lunch Special (B) ? Milky Way Milkshake (MIS) ? Out of this World Soup (BB) ? 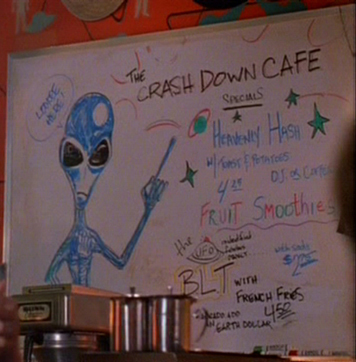 Roswell Roast Beef Sandwich (C) ? auction on ebay. I thought I would include it just for curiosity sake. 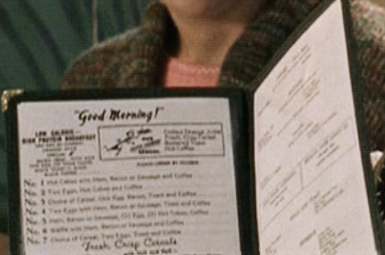 Many other items were mentioned on the show, or ordered by the characters.